Marble and Travertine Statues from J.H. Wagner & Sons. 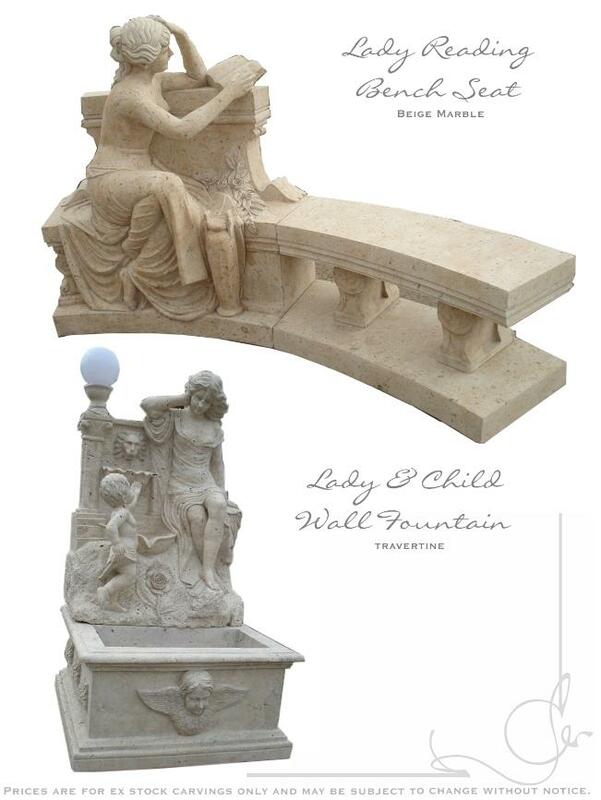 Demonstrating the beauty of Beige Marble and Travertine Marble are these captivating Lady Reading bench seat and Lady and Child Wall Fountain carvings from J.H. Wagner & Sons.